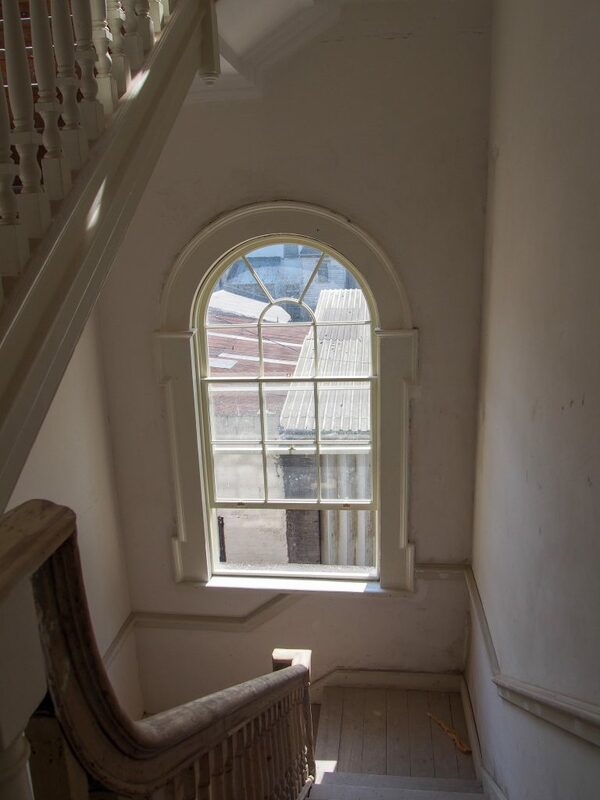 Georgian sash windows above the staircase in No. 3 Henrietta Street. 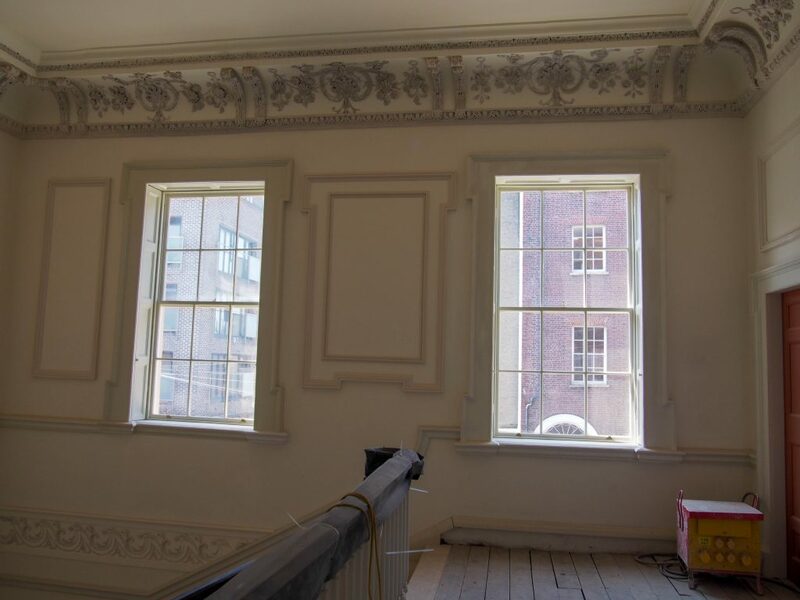 The restoration of No 3 Henrietta Street is one of the most significant Georgian conservation projects carried out in Dublin in the last 20 years. 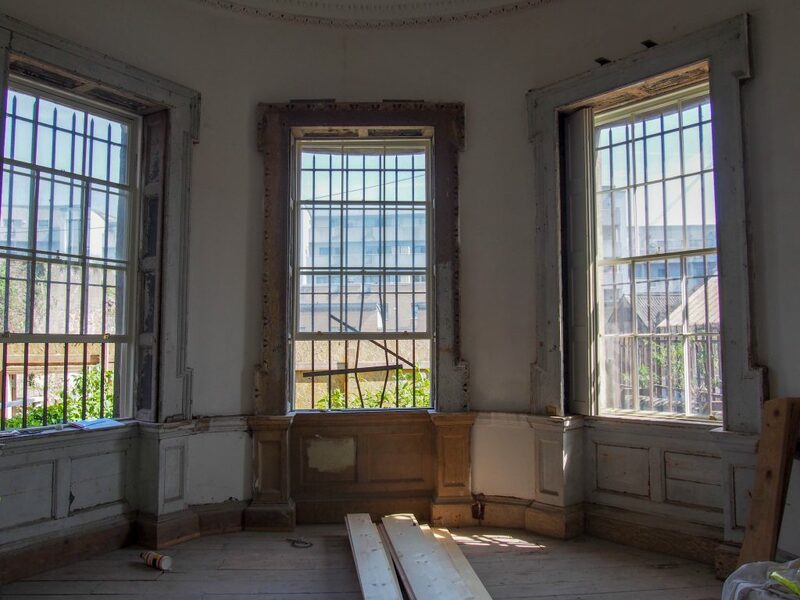 Timeless Sash Windows are delighted to have been the window contractor for this conservation and restoration. I met with Pat Wigglesworth who, together with Ian Lumley, developed and had the vision for such an superb enterprise. The vision now in 2018 is to have 7 luxurious apartments, up to 1800 square feet, for short term lets in Dublin 1 city centre. 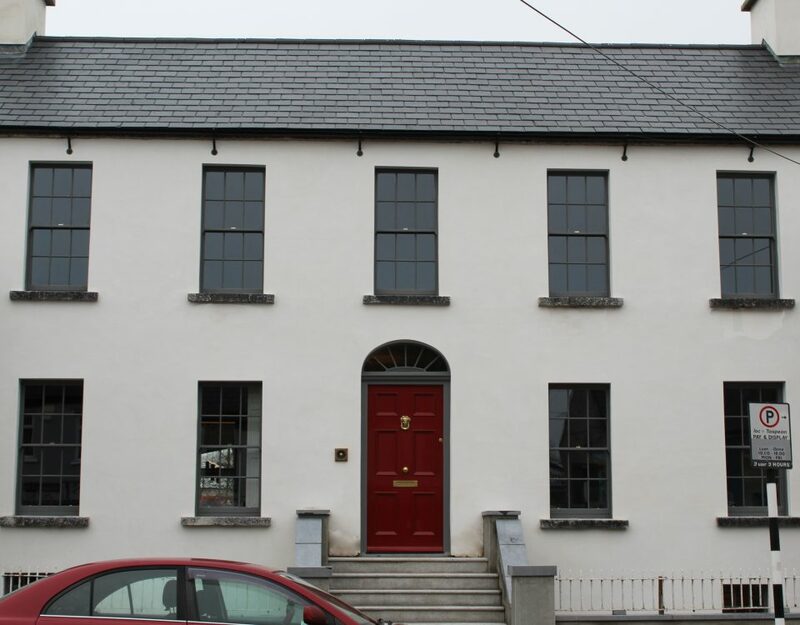 No 3 Henrietta Street – restored. Henrietta Street itself is the oldest Georgian street in Dublin and was the model for all the Georgian squares in the city. It was built in the 1750s, largely by Luke Gardiner and then fell into disrepair in the 19th and 20th centuries with overpopulation and poverty. 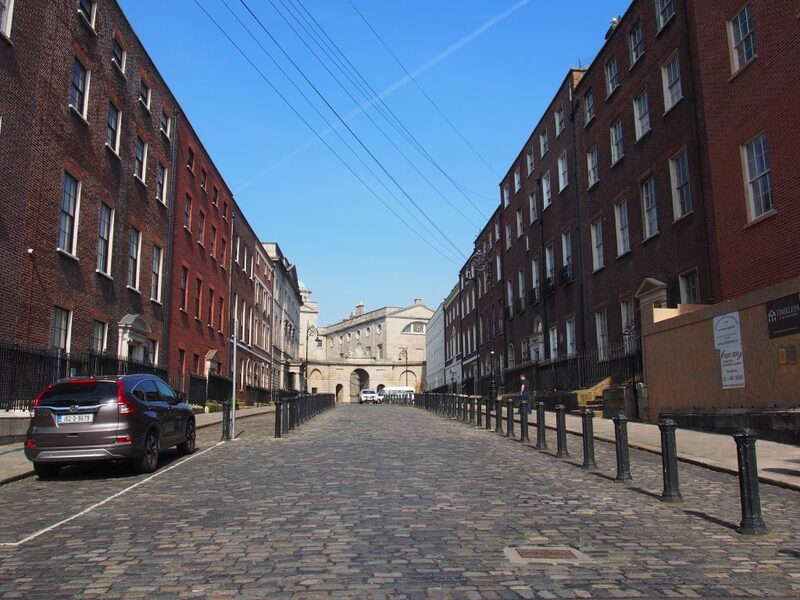 The law library of Kings Inns graces the end of this wonderfully wide cobble-stoned street. No. 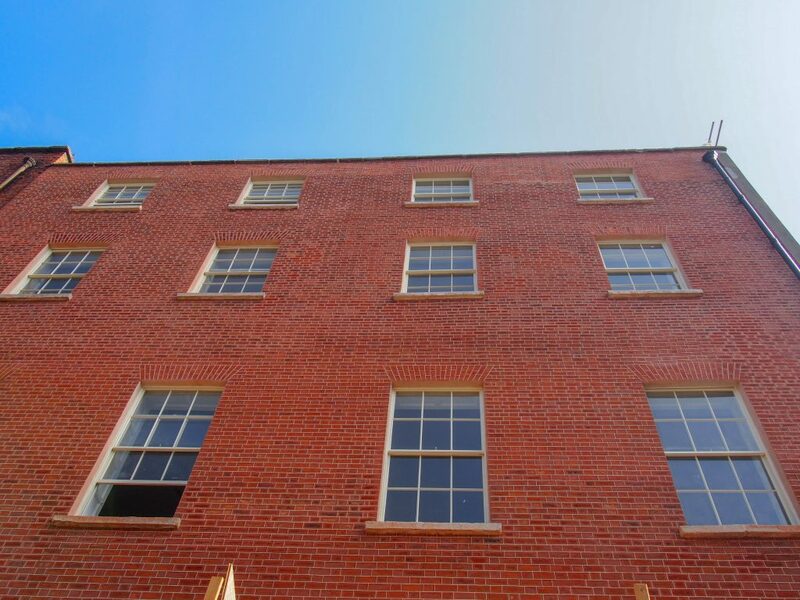 14 was restored by Dublin City Council in 2017 as the Tenement Museum Dublin. This house, No. 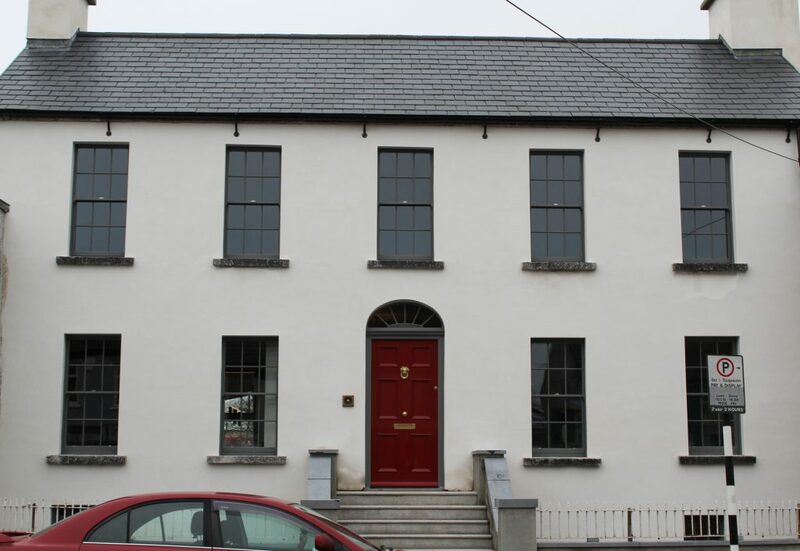 3, was the last house built on Henrietta Street and dates to 1755 when it was built for Owen Wynne MP. At the time it was spacious with good quality plasterwork and woodwork. However, according to the census in 1953, there were 147 people living here. It was broken up into 20 units with an average of 8 people per unit – some of them only 350 square feet. Over the years, the house was severely neglected and fire damaged yet described recently by Robert O’Byrne, otherwise known as The Irish Aesthete, as an ‘opportunity’. Pat and Ian saw this opportunity and have treated it with the utmost respect. The guidelines of a conservation architect are a necessity for work on a protected property such as this. “We had to do everything,” says Pat, “We replaced the roof, all the heads above the doors, all the heads over the fireplaces. The central core was completely gone – in and around the stairwell. The original designed stairs were burnt and gone since 1910. 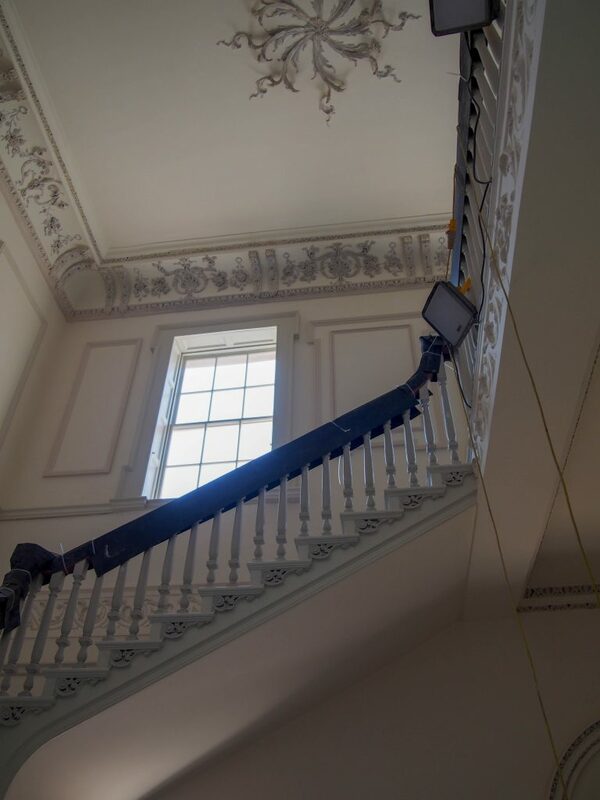 We had to re-instate all of that, while protecting and repairing the ceilings. All the cornices have been repaired. The external brickwork has been repaired. The main entrance portico is being repaired. All the windows and surrounds have been repaired by Timeless Sash Windows – and are working. What astonishes people is that not only are the windows repaired and working, but also the shutters. We have had a few interior designers in and we were talking about hanging curtains, but the shutters are working so we don’t need curtains. 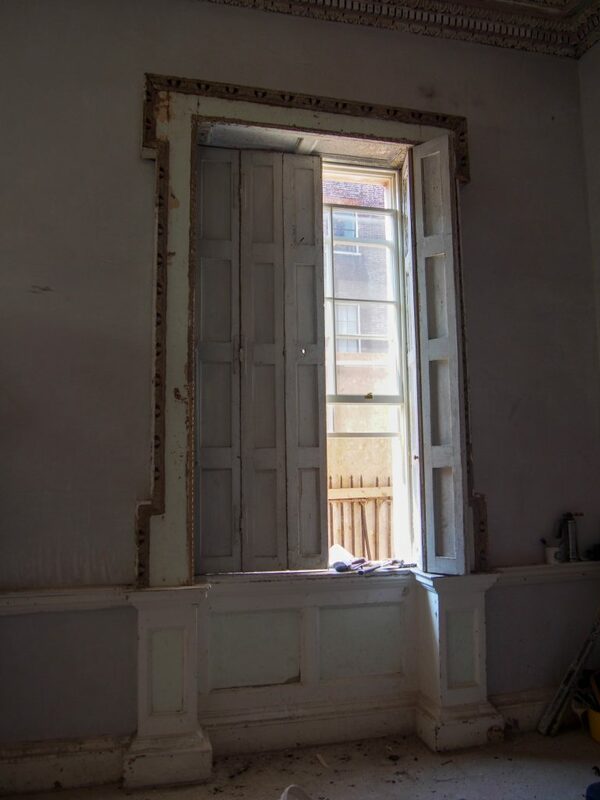 In their day in the 1750s, they never hung curtains – they just used the shutters” says Pat. “From day 1 I have had the attention of Timeless Sash Windows. There are 53 windows in this house, all varying in size from 1.2m up to 3.4m tall. There are also different styles of windows. From a conservation point of view we had to record each style of window because over the last 300 years they’ve been changed – the design on the window has been changed, not the overall 6 over 6, but generally the framework. So Timeless had to buy into that, which was difficult enough because there were a lot of repairs. 70 -80% of the windows were repaired. In fact, 25% of the windows are new and you cannot tell the difference between the old and the new – that is the quality of the work that came back from Timeless.” he continues. We would like to thank Pat Wigglesworth for taking the time to talk with us about this ongoing restoration and hope to share some images of the finished project later in the year. Words & Photos by Jennifer Ritchie. 29th May 2018. A remarkable restoration and conservation project. The article is extremely insightful and informative. 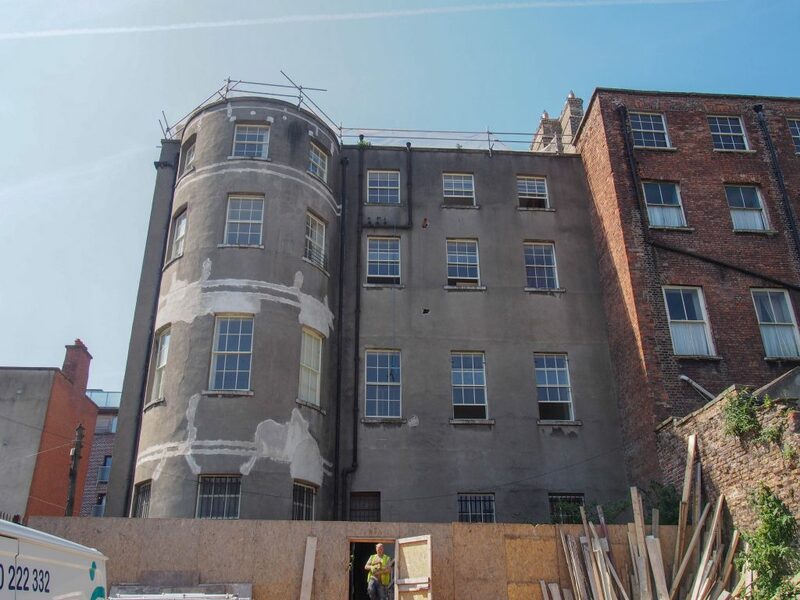 Such dedication and determination by Pat Wigglesworth and Ian Lumley plus their chosen contractors to gradually return No 3 Henrietta St to its former splendour as part of this unique mid 18th century Georgian terrace. Thanks for sharing and look forward to seeing more of the finished project. 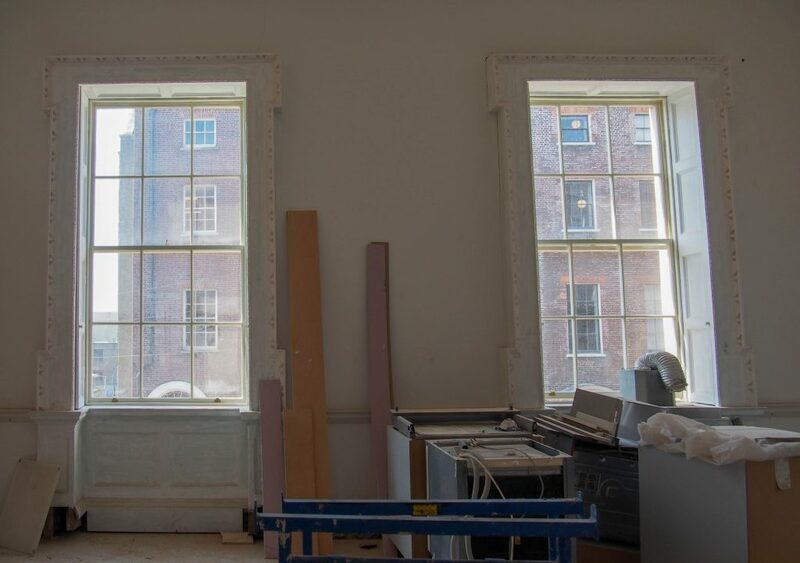 Thank you for your comment about the restoration of 3 Henrietta Street – it is wonderful to see such care being taken of our architectural heritage and we are proud to be involved in such a prestigious project.